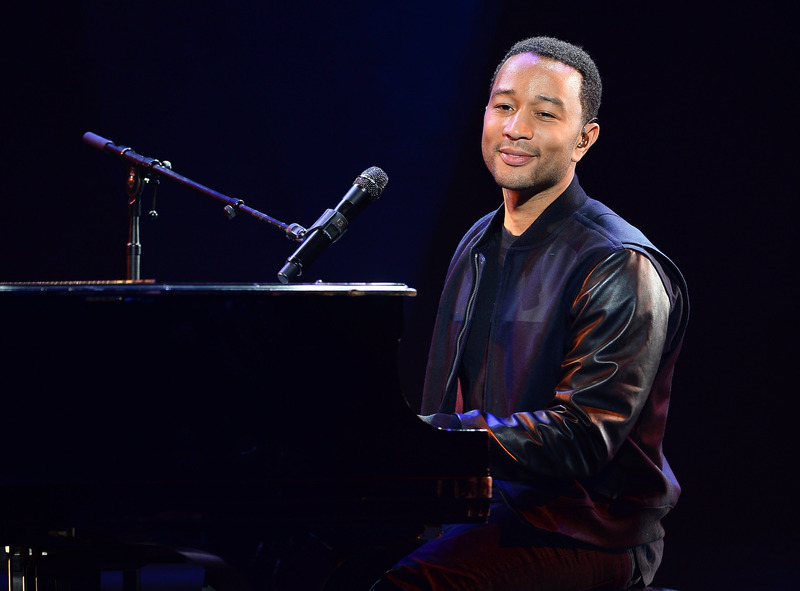 Was there ever any doubt that John Legend would kill it at the Super Bowl? Sure, the R&B singer with one of the silkiest voices known to any human ear wasn't asked to perform at the Super Bowl halftime show because let's face it, no one wants to feel like they're in a smooth jazz lounge while watching the big game covered in hot wing sauce ... but he did take the opportunity to sing "America the Beautiful" before the game began and really ran with it. Not only did his voice sound perfect as per usual, it also gave people the chance to see how good he is, again, with his piano. I've always been a fan of Legend's but I've never really been able to picture him without his piano. The short performance was flawless, of course. There were no flubs, there were no hiccups, there was just Legend, as a legend, effortlessly singing in front of hundreds of millions of people. In a black leather jacket and black pants, the man showed no sign of a hangover, too, even though he was out Saturday night with Kim Kardashian and Kanye West at the newest and hottest LA night club: The Waffle House. Yum. As Legend sang, images of the Grand Canyon, Boston, and Seattle flashed across the screen. Not sure why they didn't find a Google Map of said Waffle House, since it's now an American monument, but maybe next year. Great job, John Legend. You're a pro.